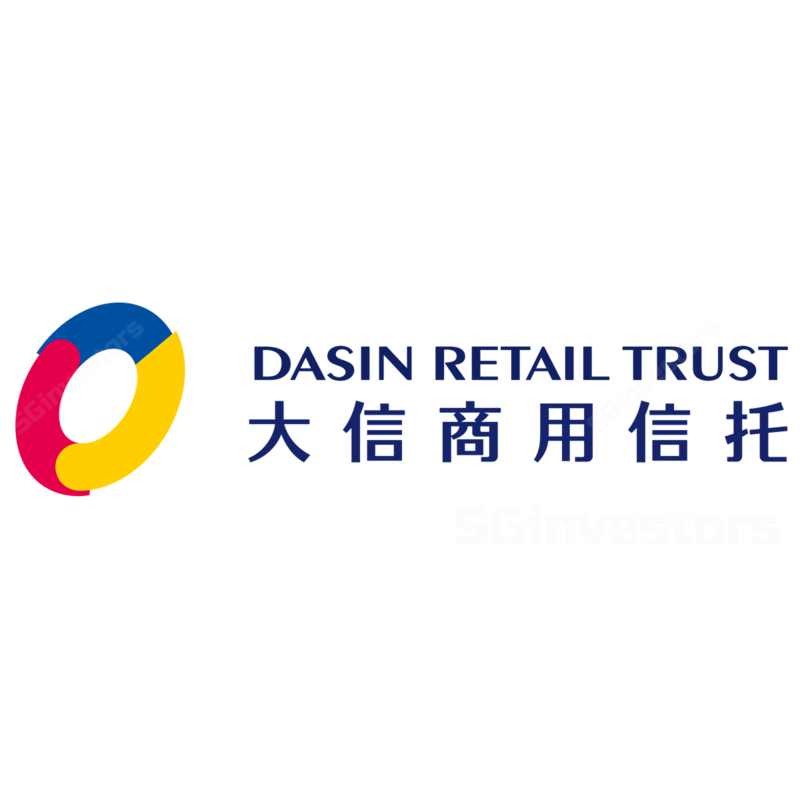 Dasin Retail Trust's Revenue and NPI for 1Q18 were within expectations. Boost in revenue was from the acquisition of Shiqi Metro Mall (石岐店) in June 2017. Organic growth was 17% y-o-y. Adjusted DPU downwards to account for adjustments of S$2.7mn, which is set aside for future repayment of interest and related costs on the loan facilities. Site Visit to Zhongshan City: 100% occupancy at all 4 malls plus a look at ROFR assets. Pertinent question answered – we believe Dasin Retail Trust can ride out the income support. + Higher reversions from the renewal of master lease. A 10-year renewal of the Xiaolan Master Lease Agreement for Superior City Department Store on 26 Sep 2017 was a key contributor to the positive rental reversions, with reversions at Xiaolan Metro Mall jumping to 4.5% in 1Q18. - Higher amount of funds retained for future interest repayment. Other adjustments of S$2.7mn was recorded in 1Q18. This item was previously not modelled into our forecast, which has led to it being the primary factor for 1Q18’s DPU underperforming our forecast. Inorganic growth will be through its ready pipeline of 20 properties. A look at some of Dasin’s right-of-first-refusal (ROFR) properties during our visit to Zhongshan allowed us to witness the surrounding catchment areas. 13 ROFR properties (including Doumen Metro Mall, which Dasin has a purchase option on) have been completed and seven are under development. All signs point to the robust growth of Zhongshan’s purchasing power with urban disposable income per capita growing 8.9% y-o-y in 2017. Another catalyst will be the expected opening of the Hong Kong-Zhuhai-Macau bridge in July 2018. It will create some spillover of consumption spending into Zhongshan and in the longer term, potentially raise rental rates and property valuations for Dasin. We narrowed down our DPU forecast to factor in the increased distribution adjustments for funds set aside for future repayment of interest and related costs of the loan facilities. Our initial forecast had not factored in such an adjustment. Our target price has been lowered by $0.01. With all 4 malls (Dasin E-Colour 溢彩荟, Ocean Metro Mall 远洋店, Xiaolan Metro Mall 小榄店, Shiqi Metro Mall 石岐店) operating at 100% occupancy, we expect Dasin to continue delivering healthy organic growth. In addition, our assessment suggest that DPU would take a minimal hit when the income support is removed in FY2021. As such, we maintain our BUY rating with a lower target price of S$0.97. A pertinent question – Will Dasin be able to ride out the removal of income support after FY2021? FY2022 will be a critical year for Dasin. It will be the first year without income support, which is in the form of a distribution waiver from Dasin’s two biggest shareholders, Aqua Wealth Holdings and Bounty Way Investments. While income support has always been viewed as a short-term bolster to DPU, in this instance, Dasin’s income support was strategised to be drawn out for the first five years of the listing. It was to smoothen out the gestation periods of its two growth malls, Dasin E-Colour and Ocean Metro. Nonetheless, our forecast – purely based on organic growth, not accounting for any acquisitions/disposals – shows that Dasin’s distributable profit is expected to sustain the removal in income support. The number of units entitled to distribution under the waiver will approximately double from 2017 (first year with income support & year of IPO listing) to 2022 (first year without income support). In order for Dasin to sustain similar distribution yields of ~8.5%, it has to correspondingly double its distributable profit. Our estimates, which have taken into account a baseline rental CAGR of 6% from FY17 to FY22e, therefore show that Dasin’s distributable profit can in fact double by the same magnitude to cover the shortfall following the drop-off in income support, short of some c.6%, which can potentially be compensated for by any acquisitions made within this same time frame.